Good afternoon from a very, very, wet rainy Perthshire, Scotland. I love your beautiful card, sweet image wonderful colouring and a great design. 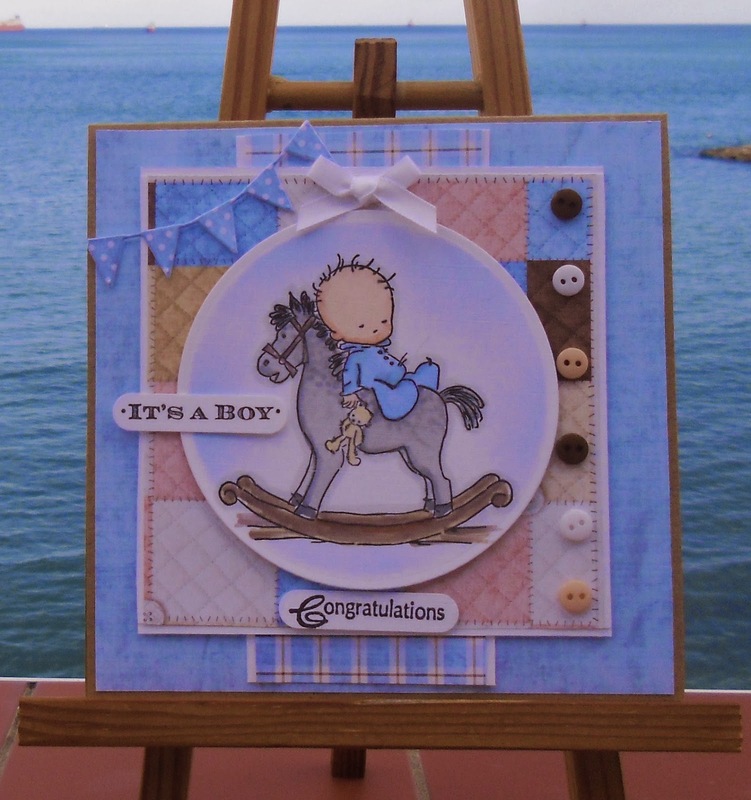 Gorgeous card Sylvie.I love this sweet baby image and your design is stunning. Beautiful baby card Sylvie, and great colouring. Gorgeous card Sylvie, adorable image and beautiful colouring. I love the papers and tiny buttons too. This LOTV cutie is soooooo sweet from the new babies collection !!! Just love him !! Fab card & I love the sweetheart banner !! Hi Sylvie - isn't it exciting when you get parcels......hehe! Love your LOTV card - gorgeous image, beautifully coloured and love the dp you've used. Love your image and those gorgeous background papers. Cute card, Sylvie! Adorable image. Long time no speak! Gorgeous card I love it, hope you are well.